It’s estimated that 20,000 people with autism live in ASGA’s service territory. That’s a lot of individuals and families that rely on us! Can you help? 75% of our revenue comes through donors and corporate sponsors and that’s why we NEED you! Support our work in the Greater Akron community! All of the money we raise here stays here. Becoming an ASGA member provides priority registration to inclusive events and an ASGA car magnet! Most importantly, when you become a sustaining member you are showing your support for the work we do to improve the lives of all those affected by autism in our community. Individual memberships are only $25 a year! Create an Autism Awareness Month Fundraiser on Facebook! Sign Up for Step Into Autism and Create a Fundraising Team! Step Into Autism is the signature autism awareness event and fundraiser in our community. We depend on our awesome fundraising teams from this event to support a large amount of our inclusive programming. Learn how to create a fundraising team and register HERE. An easy way to support people living with autism and a great way to show that you care! 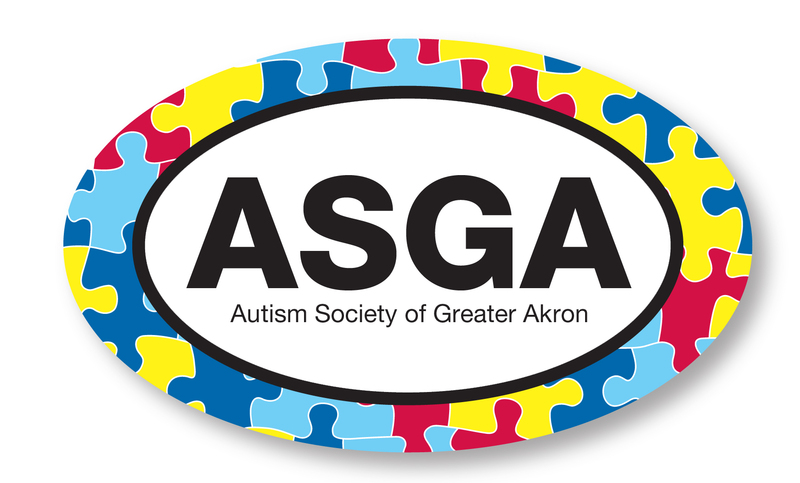 Each plate benefits the programs and services of ASGA, as well as the advocacy efforts of the Autism Society of Ohio, Ohio’s state-wide coalition of Autism Society affiliates. Purchase your plate online at oplates.com or at your local BMV! Did you know that Amazon will donate a portion of any Amazon purchase to ASGA when they are made through Amazon Smile? 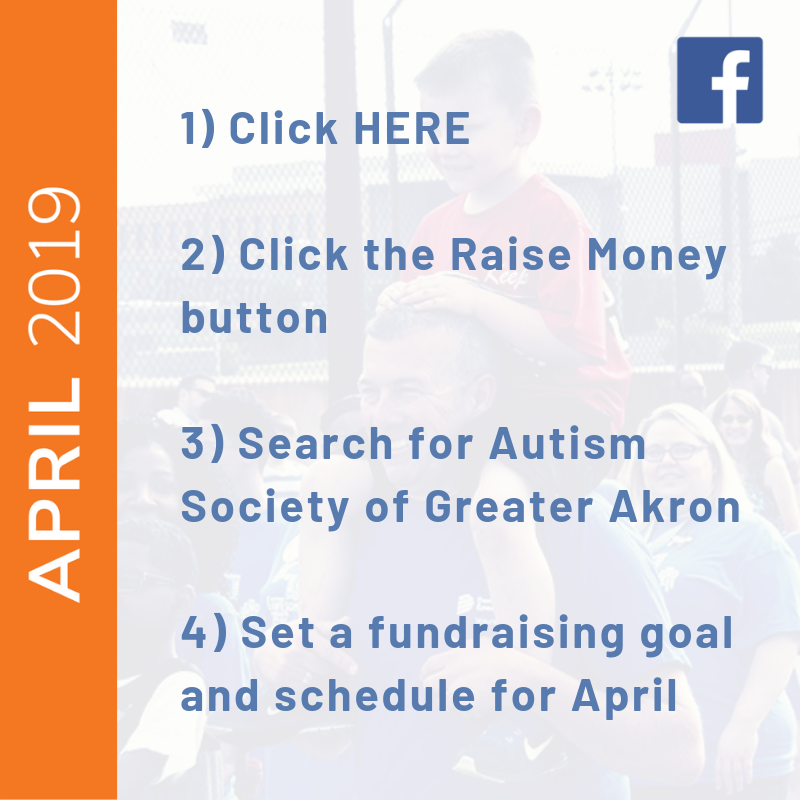 Simply log in with Amazon Smile, select Autism Society of Greater Akron as your charitable organization, and shop away! To save a few clicks, Google Chrome has a free extension called Smilematic that will automatically turn your every day Amazon purchases into Amazon Smile donations. You’ll never miss an opportunity to support people living with autism while shopping on Amazon again! With your support, we can show the world how great different can be!